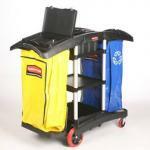 Versatile cleaning carts are an essential tool-of-the-trade for janitors, janitorial services, and maintenance departments. 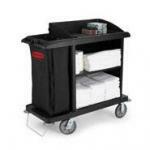 At Rubbermaid Commercial Products we offer numerous types of cleaning carts that can help keep your cleaning staff productive and organized. 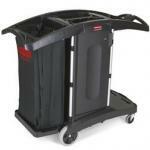 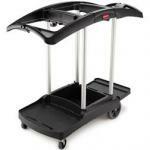 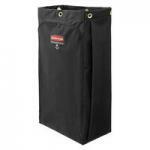 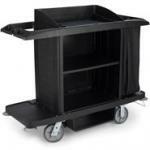 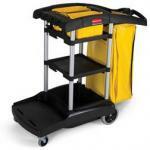 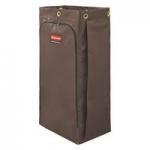 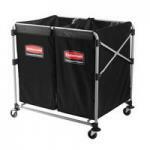 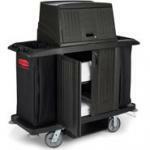 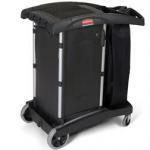 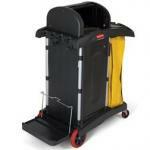 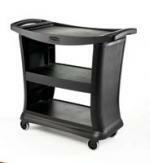 Our cleaning carts are multi functional with a high capacity for storage and tool organization. 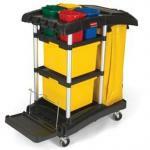 We offer a range of cleaning cart solutions to meet your most demanding housekeeping and building maintenance needs. 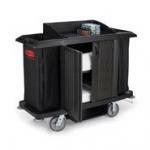 Whether you're looking for a compact, full size, or double capacity cleaning cart for your office building, hotel facility, or institution, you're sure to find the perfect cleaning cart product here in our online catalog. 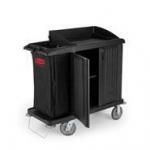 All of our cleaning cart systems come equipped with secure mop and broom storage, a lock and go connection and even the ability to add a BRUTE© container for greater waste capacity. 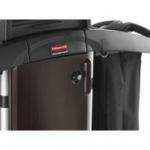 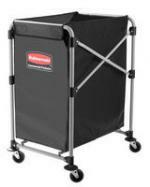 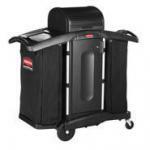 Rubbermaid Commercial Products has a full line of cleaning carts, including: High Capacity Cleaning Carts, Microfiber Janitor Cleaning Cart, Microfiber Janitor Cleaning Carts w/ Color-Coded Pails, High Security Janitor Cleaning Carts, Compact Folding Housekeeping Cleaning Cart, Turndown Housekeeping Cleaning Carts and High Security Housekeeping Cleaning Cart. 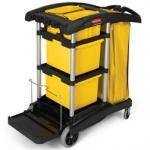 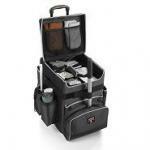 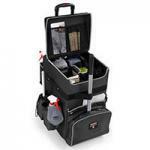 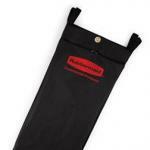 In addition to our cleaning carts, we also carry a full line of accessories. 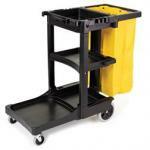 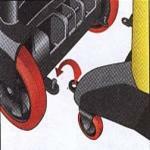 These cleaning cart accessories help increase productivity and improve workflow.